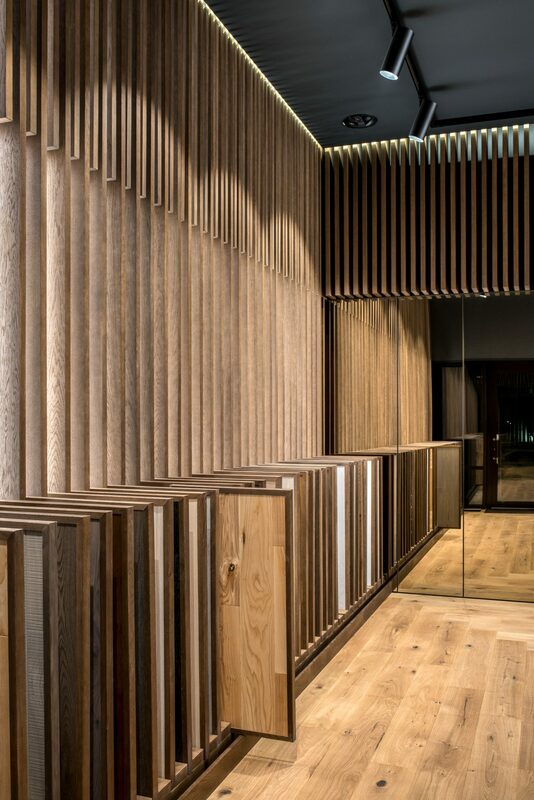 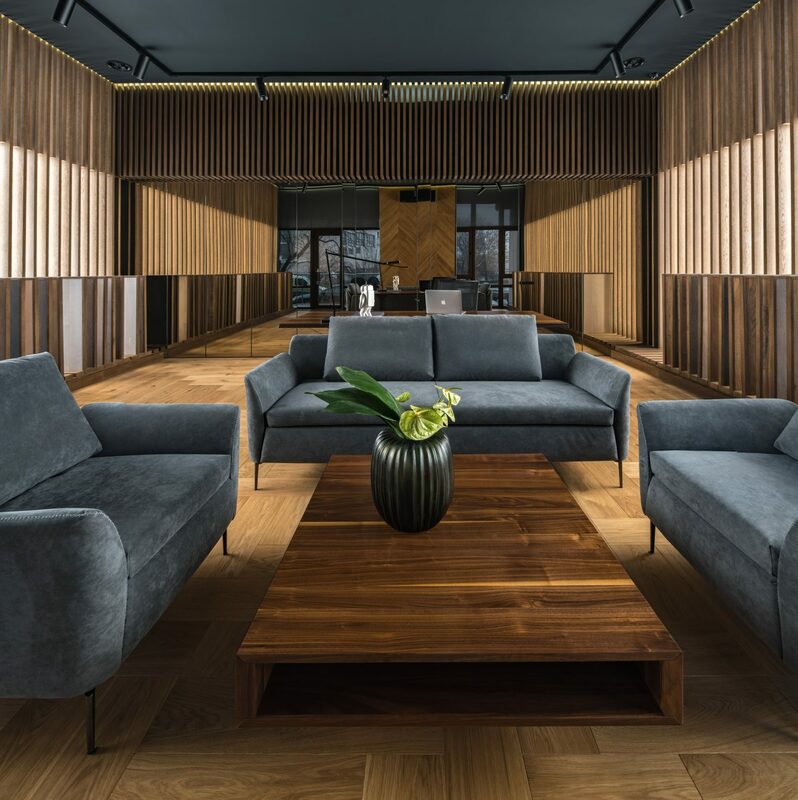 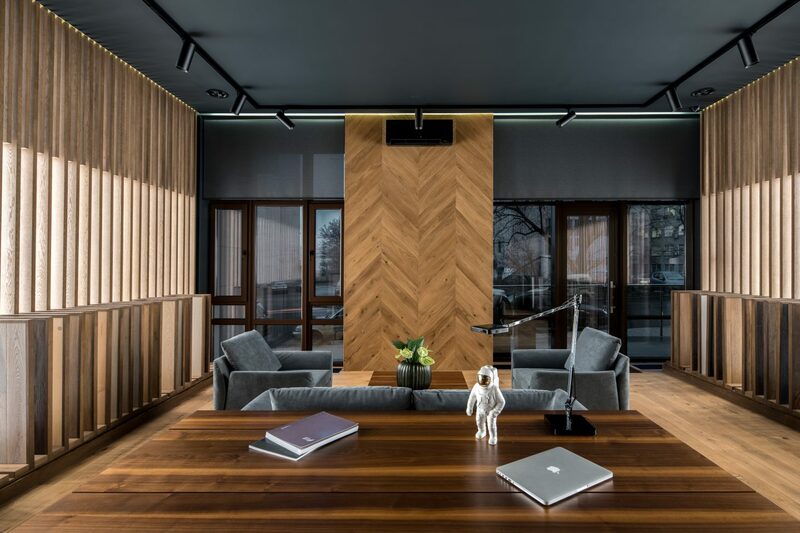 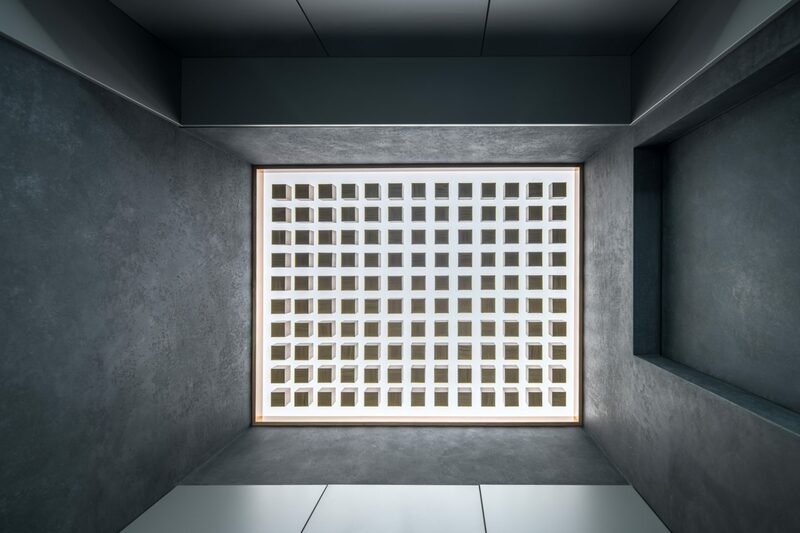 The concept of the PATTERNO showroom holds a unique approach to the layout of parquet board samples which, in turn, are the part of a comprehensive interior solution. 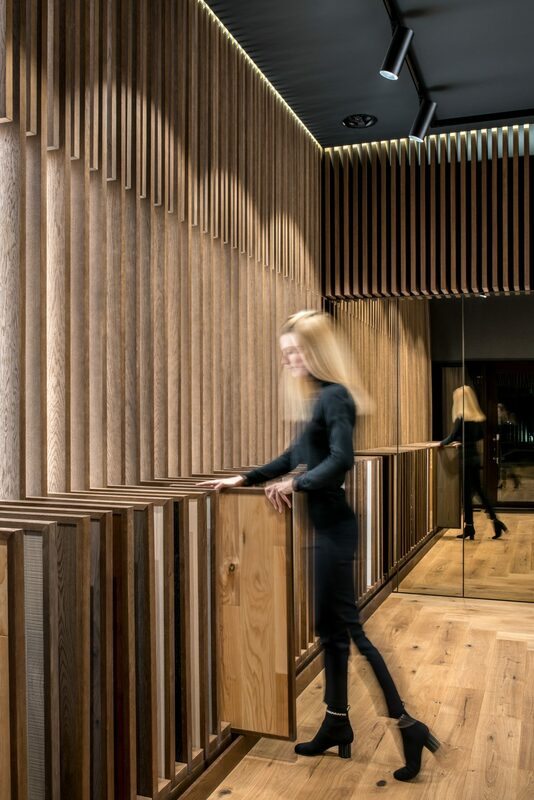 Veneered laths along the side walls are a structure which contains functional slots for placing samples in its framework. 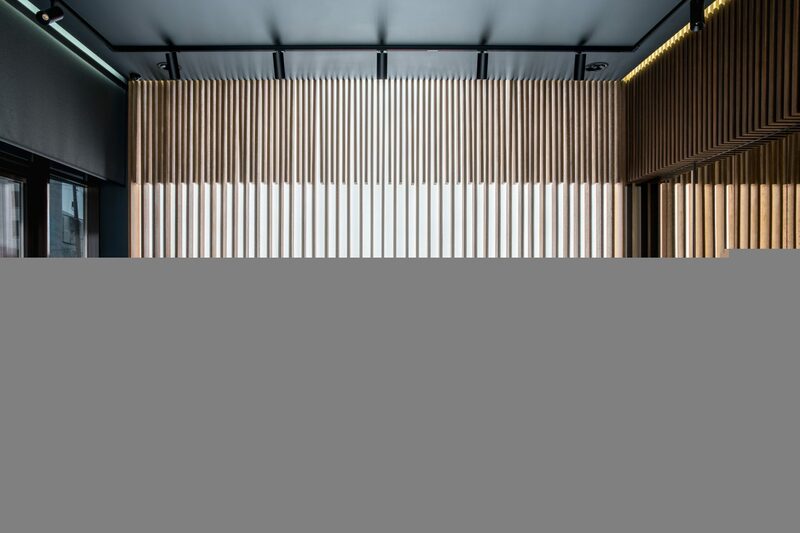 These slots allow to place the samples using parallel placing to the laths as well as frontal placing. 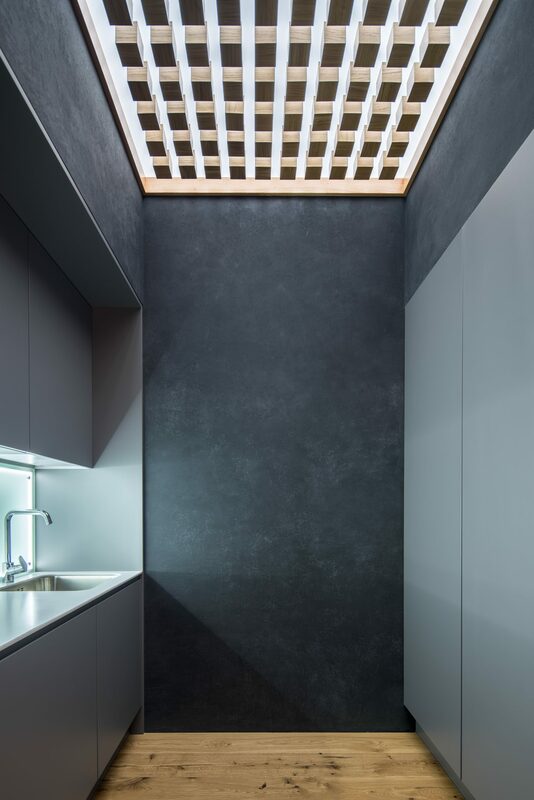 The wall opposite the entrance is with a tinted mirror, the plane of which hides the doors to the kitchen and bathroom alongside with the storage areas. 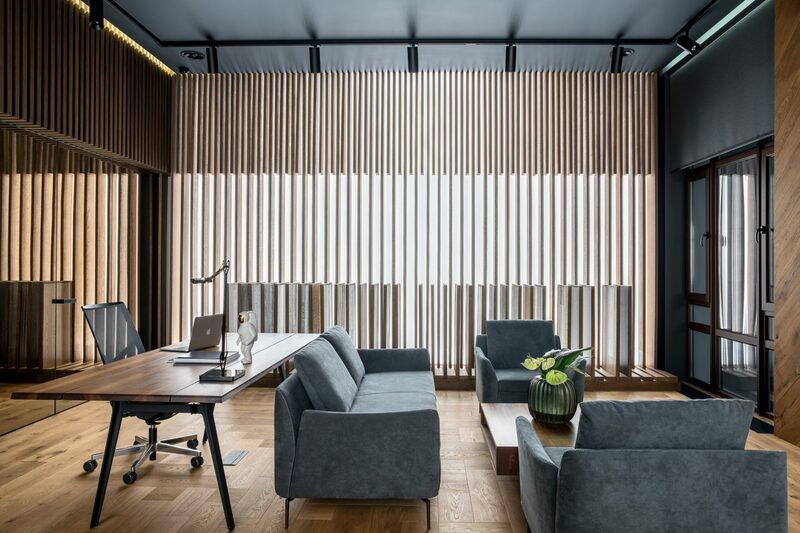 The laths are reflected in the mirror wall helping increase the space visually.